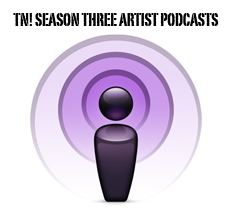 TN! Season 2 Artists | Hamilton Dramaturgy's TheatreNow! 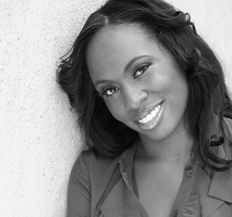 Kamilah Forbes is an award winning actress, director, playwright and producer. Nominated for Helen Hayes Award for Best Lead Actress. Voted one of VIBE Magazine’s Top 100 Juiciest People, Kamilah is known for her captivating work and dedication to each of her passions. As a burgeoning actress, director, playwright and producer, her talent casts a vivid and evocative spell on both the national and international stage. In her diverse body of work she is noted for having a strong commitment to the development of creative works by, for and about the Hip-Hop generation. As the Artistic Director of the Hip-Hop Theatre Festival (HHTF), an annual 3-week festival taking place nationwide in New York, San Francisco, Washington D.C. and Chicago, she has seen it grow from a fledgling project into an independent non-profit organization with a truly national scope. The festival has featured the works of nearly 100 artists from not just within the U.S. but around the world as well, including England, Brazil and Canada. Many new and well-known artistic forces have had their worked leveraged under Kamilah’s artistic direction including OBIE Awards winner Will Power, TONY Award winner Sarah Jones, Rennie Harris, Nilaja Sun, Marc Bamuthi Joseph and Indio Melendez, to name a few. Kamilah first came to prominence as the writer/director of Hip-Hop Theatre Junction’s premier work “Rhyme Deferred.” “Rhyme Deferred” has since toured through a wide range of venues throughout New York, Washington DC, Texas and North Carolina. She has been featured in such diverse publications as American Theater Magazine, Vibe, The Source, and Honey. “Rhyme Deferred” was published in TCG’s anthology The Fire this Time. Kamilah received a B.F.A. in Theatre from Howard University as well as studied at the British-American Drama Academy at Oxford University in Oxford, England. Laura Maria Censabella’s plays have been produced or workshopped by The Philadelphia Festival Theatre for New Plays, The Women’s Project & Productions, The Working Theatre, Interact Theatre in L.A., the American Living Room Series at The Ohio, the AthenaWorks Marathon, the Belmont Italian American Playhouse (which commissioned her play Some Girls), the Pacific Resident Theatre, The Festival of Faith and Writing at Calvin College, and Ensemble Studio Theatre, where she is a member and runs the professional Playwrights Unit. Her children’s musical O’Sullivan Stew, written with composer Frank Cuthbert, was produced in 2010 by Greene Arts Foundation. Her one act play Interviewing Miss Davis was produced in 2010 in Ensemble Studio Theatre’s One Act Marathon of Plays. For 2010/2011 she has received an EST/Sloan Foundation Commission to write a new science-based play. Ms. Censabella has been awarded three grants from the New York Foundation for the Arts: two in playwriting for Abandoned in Queens and Carla Cooks The War (a/k/a Three Italian Women), and The Geri Ashur Award in Screenwriting for her original screenplay Truly Mary. Truly Mary was subsequently developed at The New Harmony Project with director Angelo Pizzo and producer Michael London. She has also been a two-time participant in the O’Neill Playwrights Conference for Abandoned in Queens and Jazz Wives Jazz Lives and has received writing fellowships from Yaddo, the Virginia Center for the Creative Arts, The New Harmony Project and the O’Neill. Her short play Posing was nominated for a Pushcart Prize, and The Actual Footage won the Tennessee Chapbook Prize for Drama. Both plays are published in Poems & Plays (Numbers Five and Seven), as is her play Stones Fall, Birds Fly (Number Sixteen). Ms. Censabella’s teaching experience includes the New School for Drama (current), Sarah Lawrence College, the Actors Studio Drama School at The New School, Columbia University’s School of the Arts, Columbia College’s Undergraduate Writing Program, City University’s MFA Writing Program, The Sewanee Writers’ Conference, and Summer Literary Seminars in St. Petersburg, Russia. She has written the short film adaptation Physics for HBO’s Women: Breaking the Rules series, and for two years she wrote for daytime serial television, winning two Emmy Awards. Her half-hour independent film Last Call (directed by Robert Bailey and starring Jude Ciccolella) was an official selection in festivals throughout the world, including the Avignon Film Festival, the Other Venice Film Festival, the Hermosa Shorts Film Festival, the Sedona International Film Festival, the Queens International Film Festival, Anthology Film Archives’ New Works Series, Long Island International Film Expo, Cinema City International Film Festival, and the Breckenridge Film Festival where it won the Best Short Drama Award. It is released by Cinequest on a compilation DVD entitled Second Sight: Cinequest Favorite Short Films, Volume II and is now available on Netflix (search: Second Sight, Vol. 2) or for download on Jaman. She is a member of the Dramatists Guild, the Writers Guild of America, East, and the League of Professional Theatre Women. She received a degree in Philosophy and Theatre from Yale University. 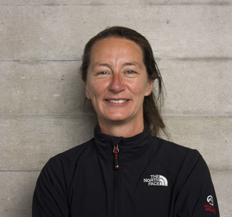 Paule Constable is a British lighting designer who won the 2005, 2006, and 2009 Laurence Olivier Award for Best Lighting Design. She was also a nominee for four further productions and for a 2007 Tony Award on Broadway. In 2011 she won the Tony Award for Best Lighting Design of a play for War Horse. Paule read English and Drama at Goldsmiths’ College London and she trained in lighting design while working in the music business. Opera includes many designs for the Royal Opera, English National Opera, Glyndebourne, Opera North, Scottish Opera and Welsh National Opera. Abroad she has worked in Paris, Salzburg, Strasbourg, Berlin, Brussels, New Zealand, Dallas and Houston. She has created fifteen productions at the National Theatre, including Paul. Her lighting designs are regularly seen at the Royal Shakespeare Company, the Donmar, the Royal Court and the Theatre de Complicité. In the West End she lit Evita, Don Carlos, The Weir and Amadeus (also Broadway, 1999 LA Critics’ Award winner). Theatre-Dance productions in Britain and abroad include productions for Matthew Bourne, Will Tuckett and Adam Cooper. Paule Constable was the lighting designer for the 2010 25th Anniversary Touring Production of Les Misérables, staged at the Barbican in London. A DVD of the live concert performance at the O2 on 3 October is due for release in November 2010. In 2011, this production performed at the Ahmanson Theatre and Constable won the LA Drama Critics Circle Award for Lighting Design. 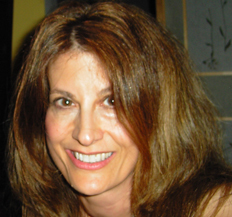 Jennifer Tipton was born in Columbus, Ohio and attended Cornell University where she majored in English. After graduation, Tipton came to New York to study dance. Her interest in lighting began with a course in the subject at the American Dance Festival, Connecticut College. She has been awarded two Bessies and a Laurence Olivier Award for lighting dance; her work in that field includes pieces choreographed by Mikhail Baryshnikov, Jiri Kylian, Dana Reitz, Jerome Robbins, Paul Taylor, Twyla Tharp, and Dan Wagoner, among many others. Her work in the theatre has garnered a Joseph Jefferson Award, a Kudo, a Drama-Logue Award, two American Theatre Wing Awards, an Obie, two Drama Desk Awards, the first for The Cherry Orchard and For Colored Girls Who Have Considered Suicide/When the Rainbow is Enuf; the second for Jerome Robbins’ Broadway, Waiting for Godot, and Long Day’s Journey into Night, and two Tonys for The Cherry Orchard and Jerome Robbins’ Broadway. Her work in opera includes Robert Wilson’s production of Parsifal at the Houston Grand Opera and Peter Sellar’s production of Tannhauser for the Chicago Light Opera. In the fall of 1991 she directed a production of The Tempest at the Guthrie. 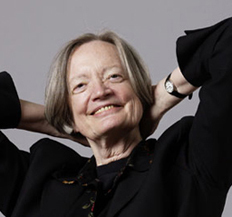 She has been an artistic associate with the American Repertory Theatre in Cambridge and the Goodman Theatre in Chicago. In 1982, she received the Creative Arts Award in Dance from Brandeis University. She held a Guggenheim Fellowship for the 1986-87 season and received the 1989 Commonwealth Award in Dramatic Arts. In 1991, she received a Dance Magazine Award. She has been a recipient of the National Endowment for the Arts Theater Program Distinguished Artist Award, and a grant in the National Theatre Artist Residency Program funded by the Pew Charitable Trusts. Miss Tipton also teaches lighting at the Yale University School of Drama. Tipton’s lighting designs have been represented in American Ballet Theatre’s repertory since 1971.